The budget for each episode was between $400,000 and $450,000. Efrem Zimbalist, Jr. left the show because he was not suited to living in Spain. Michael Tylo left the show because he did not like having to be away from his wife and children. Michael's wife Hunter played the role of Señora Deranosa in the episode "Family Business." Patrice Martinez's brother Benito played the role of José Maceas in the episodes "The Sure Thing" and "My Word Is My Bond." Patrice Martinez's resumé lists fencing as one of her special abilities. Jim Carter was to return as Colonel Palomarez during the fourth season of the series. The episode was to be called "Stranger Than Fiction." It was never filmed because Carter was not available at the time they would have filmed the episode. "The Reward" was filmed instead, and unfortunately, the show was canceled before "Stranger Than Fiction" could be filmed. The show was canceled because there was not enough money to continue production. Actor John Christian Graas was one of the nominees for the Best Young Actor Guest-Starring or Recurring Role in a TV Series at the 13th Annual Youth in Film Awards, 1990-1991. He was nominated for his role as Pepe in the episodes "The Buccaneers" and "A New Beginning." The New Zorro was one of the nominees for the Best Off-Prime Time or Cable Series at the 13th Annual Youth in Film Awards, 1990-1991. Henry Darrow is the only actor to ever star in three different versions of Zorro: The New Adventures of Zorro, Zorro and Son, and the New World Zorro. Henry Darrow's favorite episode is "Like Father, Like Son" because he was able to be Zorro in that episode. 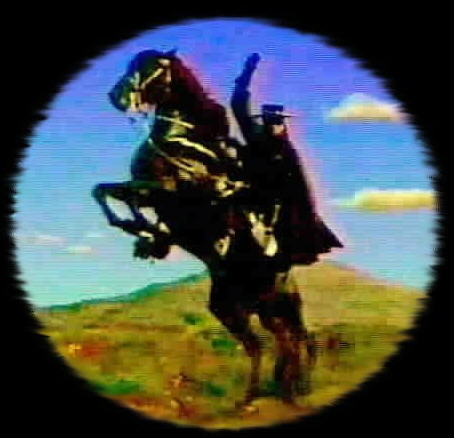 The New World Zorro aired in approximately 35 countries around the world. John Gertz, president of Zorro Productions, Inc., had a cameo role in the episode "The Reward." He sat at one of the tables in the tavern while Sgt. Mendoza was bragging about his military service.